This month’s features include Physique Olympian Jeremy Buendia’s massive back workout, power foods that hack your hunger and interview with exotic beauty IFBB Bikini Pro Narmin Assria. Swedish fitness athlete Ako Rahim on unorthodox core exercises to get legendary abs. This month’s features include Physique Olympian Jeremy Buendia’s massive back workout, power foods that hack your hunger and interview with exotic beauty IFBB Bikini Pro Narmin Assria who makes the competitive lifestyle look easy and everything else look damn good. The January issue of Iron Man hits newsstands on January 1st. champion Jeremy Buendia shows how to pair your back with your biceps for serious muscular gains. The barbell complex was created by Cold War-era Soviet scientists and is still one of the most potent physical stimuli you can use to change your physique. When you’re cutting calories to get shredded, hunger is your worst enemy. Check out these four foods that can hack your hunger and make dieting a whole lot easier. Exotic beauty IFBB Bikini Pro Narmin Assria makes the competitive lifestyle look easy—and everything else look damn good. Strength guru Brian Carroll shares a back-building exercise designed by a world-class spinal expert. If you’re a big guy, you need to read this! Also, make prep day a breeze with these handy kitchen gadgets. 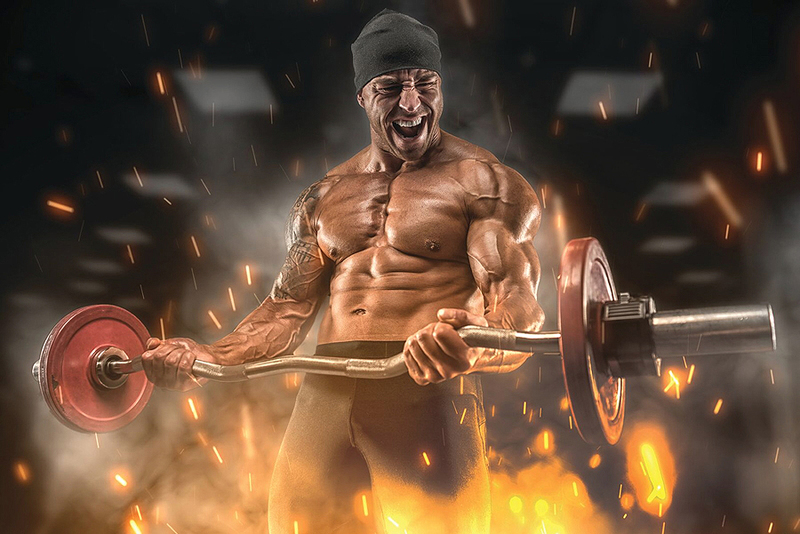 Health-enhancing strategies that will raise your natural testosterone levels without relying on a ton of supplements or a prescription from your doctor. Our nutrition PhD discusses the best ways to manipulate your carbohydrate intake to make sure those calories get diverted to your muscles and not your gut. Professional model and physique nutrition expert Thomas DeLauer explains why grass-fed beef should be a staple protein in your training diet. The deadlift is more than an exercise. It is a foundational movement that improves every part of your functional strength and can have a massive impact on the development of your physique. Metroflex LBC owner Eddie Avakoff explains why sprinters do distance better than marathoners can sprint and why endurance athletes need to get in the weight room. Professional MC and industry raconteur Lonnie Teper shares his view from the dais along with several updates from the world of the NPC and IFBB. Anti-aging specialists Dr. Brett Osborn and Jay Campbell share their 10 best lifestyle strategies for maintaining a youthful mind and body.